What’s Your Hospitalist Group’s Gross Happiness Index? Since the 1970s the kingdom of Bhutan’s leaders have believed that the country’s “Gross National Happiness” is more important than its gross national product. They actually started measuring Gross National Happiness in 2010. When I think about factors contributing to sustainability in hospital medicine, I wonder if hospitalist group leaders should be measuring “Gross Group Happiness” and not just gross group product. At least once a year, survey group members about their job satisfaction and engagement. Consider using SHM’s Hospitalist Engagement Benchmarking Service, or just do your own riff on other well-known surveys such as Gallup’s Q12®. But don’t do this if you aren’t prepared to communicate and act on the results. Provide a clear mechanism for hospitalists to express job-related concerns without fear of public identification or reprisal. Sponsor activities to build social connections and group cohesion. Examples include informal happy hours at a local watering hole, picnics and pot-lucks, and evenings devoted to team activities such as bowling or Boggle. In the spirit of promoting well-being at home, hold some activities at members’ homes and include spouses and kids. Organize an away-from-the-hospital planning retreat for all or most members of the group at least once a year. Engage hospital and medical staff leaders in an ongoing program of both formal and informal recognition of and appreciation for hospitalist contributions. Make sure every group meeting involves some time devoted to group problem-solving and decision-making (not just one-way communication), and some time devoted to relationship-building activities. Consider investing in self-care or mindfulness training for group members. Seek out job growth and enrichment opportunities, especially those that offer protected time for non-clinical activities. Examples include UM physician advisor or IT advisor, medical staff leadership roles, leadership roles within the group, or champion of some key quality improvement initiative. These can often lead to permanent part-time gigs that can help prolong a clinical career. Organize a volunteer activity for the group, whether it’s a medical mission, staffing a health fair at the senior center, or feeding people at the local homeless shelter. Sponsor group activities designed to promote a healthy and balanced lifestyle. One group I know has a weight loss contest going on; another has a regular cycling group. Well-being is ultimately about each person finding the balance that’s right for him or her. The most successful groups will be those that acknowledge that everyone has different needs and interests, and that offer flexibility to enable each member to find his or her own preferred balance. My holiday wish for each of you is that you find balance and well-being in the coming year. Thank you for your keen observation. Happiness is more than money as we all know but indeed it is also a sense of well being, safety, nurturing and community in the environment that we are in. As a Hospitalist for 19 years and in healthcare for 33 years I have seen a dramatic cultural change in the “business of healthcare” and how it treats its most important members of this industry. I will continue to work hard to never lose sight of the elements of “happiness” in my group. 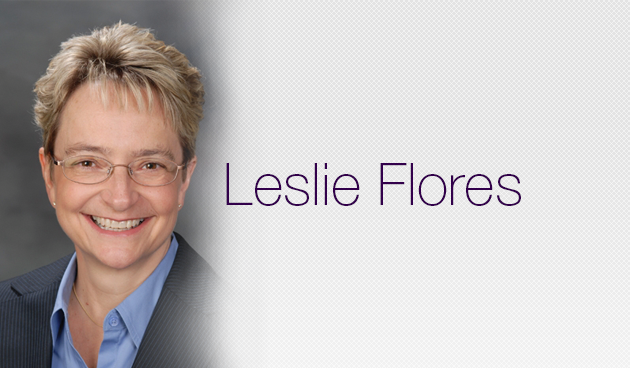 Leslie Flores is a founding partner at Nelson Flores Hospital Medicine Consultants, a consulting practice that has specialized in helping clients enhance the effectiveness and value of hospital medicine programs as well as those in other hospital-focused practice specialties since 2004. Ms. Flores began her career as a hospital executive, after receiving a BS degree in biological sciences at the University of California at Irvine and a Master’s in healthcare administration from the University of Minnesota. In addition to her leadership experience in hospital operations, business development, managed care and physician relations, she has provided consulting, training and leadership coaching services for hospitals, physician groups, and other healthcare organizations. Ms. Flores is an active speaker and writer on hospitalist practice management topics and serves on SHM’s Practice Analysis and Annual Meeting Committees. She serves as an informal advisor to SHM on practice management-related issues and helps to coordinate SHM’s bi-annual State of Hospital Medicine Survey.